This Week’s Passage: 20 Now to him who is able to do immeasurably more than all we ask or imagine, according to his power that is at work within us, 21 to him be glory in the church and in Christ Jesus throughout all generations, for ever and ever! Amen. What if in our church there were 100 believers who did not just have Christ hanging out from time to time as a guest in the home of their heart BUT had Christ dwelling there, abiding there, had ownership there. What if He was calling all the shots – not just the ones we allowed Him to be involved in? What if EVERYTHING we said or did or thought was Spirit-directed and had a stamp of approval from Christ our Lord, the owner of our surrendered hearts? This is Christ dwelling in our hearts by faith. And this is when immeasurably more happens! And what if knowing that God loves us was not just a “4 spiritual law” that we can say or an application of John 3:16 but was something that fueled and empowered our lives each and every day? What if we really got it? What if we grasped the magnanimous love of God for us in such a way that it drove us to worship, drove us to care for the helpless and hopeless, drove us to pray at the throne of grace, drove us to boldly proclaim the gospel in word and deed? That is when immeasurably more happens! 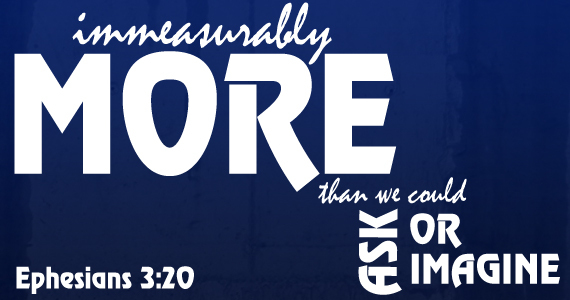 What will immeasurably more look like? I don’t know – but I do know that it will look different than we look now. How will immeasurably more happen? When we stop trying to do church and stop trying to be a good Christian and stop trying to make things happen – and begin to understand that it is His power alone that can bring immeasurably more to happen. This is why Paul prays in verses 14-19 and this is what he means in verse 20 “according to His power that is at work within us.” It is going to take an act of God for immeasurably more to happen. And perhaps He is just waiting to unleash that act upon us until He sees a people that are hungering for it to happen – a hunger that is expressed through prayer in the same way that Paul prays. Update: So after last week’s “Here’s the Deal” challenge there are now 7 of us who are praying that Ephesians 3:14-21 will become reality in our lives. We have been praying daily for a week now. I’ll extend the invitation again if you want me to begin praying for you and if you will commit to pray for me for 30 days. Just email me (sreyner@Ridgecrest.cc) or FB message me to let me know. Sometime Monday or Tuesday I will email all of you who are praying so that we can all pray for each other. And so that we can begin to watch “immeasurably more” happen together! 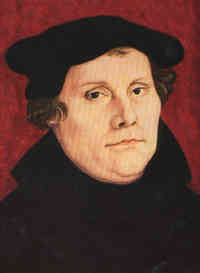 “Prayer is not overcoming God’s reluctance, but laying hold of His willingness.” Martin Luther. My Comments: Which one of these do you like best? I really like them all but the one that I really really like is by Martin Luther. Our God is a “YES” God. By that I mean that He delights in saying yes to the prayers of His children. He is willing to answer. Are we willing to ask? Are we willing to learn to pray according to His will not ours? Are we willing yo abide daily in Him? And by “we” I mean “me”. I love to watch American Idol. There, I said it. And I’ve published it so I am officially out of the closet. But my reasons for loving it may surprise you. I love it for the entertainment value – I think it is a very well produced show. And this year, oh my goodness, they have an incredibly amazing stage that is worth the watch in and of itself. I get very emotionally involved with the performers – especially at this time of the year with only about 6 weeks left. I feel like I’ve gotten to know the contestants. And when one of them gets booted off the show I feel like I’ve lost a friend. This will surprise you if you know me at all – I cry at the end of every show. Not like weep, but I get real teary and can’t talk for a few minutes because someone just lost a part of their dream. Like this week for instance. Colton Dixon got the boot. I liked Colton. He was not my personal favorite but I really liked him. And he is a strong believer. For his goodbye encore he got down on his knees and sang a worship song and then later in an interview talked about wanting to honor God with his music. He was very humble when he heard he was going home and apologized to his fans for his performance on Wednesday night. He was referring to the Lady Gaga song “Bad Romance” that he did which he admitted was VERY out of character for him. I was thinking the same thing as he was performing it. So I was sorry to see him leave – and I cried a bit. If you watch the show then these names will be familiar to you: Jessica, Philip, and Joshua. All 3 of them are incredibly gifted. The other 3 are also really really good, but not in the same way as these 3 – for me at least. I realize we will perhaps differ on this as we all have our own reasons for liking someone. But I can’t wait each week for the 3 of them to sing. As J-Lo often says, they give me goosies. 2) Know who you are as an artist – At this point in the competition the judges expect the idols to have this figured out. For me as a communicator, I need to be true to who I am. I am not a Billy Graham or a David Platt or a John Piper. I know need to know who I am and let my personality be a vehicle through which God’s Word is conveyed. I cannot try to be somebody that I am not as it will come across as ingenuous. 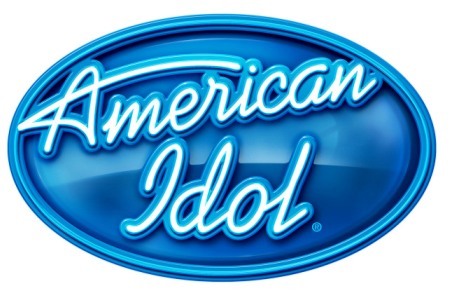 3) Connect emotionally with the audience – I hear this every week on Idol. And I admit, the songs that make me go WOW are the ones that not only are sung well but are sung with passion and conviction and feeling – all of which you can see written all over their faces. As a preacher/teacher I need to feel what I teach. Which is hard for me because a) I am a guy and b) I have learned not to express my emotions over the years. But I also recognize that the messages that I best remember are the ones that I felt as they were preached – not just heard as they were preached. So there you have it. That’s why I love American Idol and what it has taught me about preaching. The next time that I preach in church will be at about the end of the Idol season. I will probably be so teary over my favorite losing (or winning) that I will be an emotional mess. But hopefully, any emotion that I convey in the message will be because I feel passionately what I am preaching and can deliver God’s Word in a way that gives Spirit inspired goosies that result in life changing obedience. This Week’s Passage: 14 For this reason I kneel before the Father, 15 from whom his whole family in heaven and on earth derives its name. 16 I pray that out of his glorious riches he may strengthen you with power through his Spirit in your inner being, 17 so that Christ may dwell in your hearts through faith. And I pray that you, being rooted and established in love, 18 may have power, together with all the saints, to grasp how wide and long and high and deep is the love of Christ, 19 and to know this love that surpasses knowledge—that you may be filled to the measure of all the fullness of God. I mean look at what Paul is praying – he is praying that the Ephesians would be strengthened with POWER so that they would be fueled by faith and grasp how glorious is God’s love for them. What’s not to answer in a prayer like that. He is not praying for their safety or their health or their financial situation or their employment status or that they would be happy. He is praying that these Christians in Ephesus would experience from God something that would transform their lives on the inside not just change their circumstances on the outside. He is praying that the Ephesian believers would be radically changed so that the watching world stand up and take notice. I do not meet many believers who are fueled by the power of God and daily live faith-filled lives. I do not meet many believers who who have such a thorough, all-surpassing grasp of the love of God that that they are “filled to the measure of all the fulness of God.” Nor would people say these things about me. So here’s the deal. I need people praying these kinds of prayers for me because I want to be empowered daily by faith and I want to grasp God’s love in this way. If you want this as well then comment back or send me an e-mail or a FB message and let me know. My covenant with you will be this: I’ll pray for you in this way for the next 30 days if you will pray for me. And together let’s watch and see what God does in us and through us as His power strengthens us to live vigorously potent lives that honor and glorify God. I love really good quotes. Over the next few weeks I’ll be sharing some random quotes about prayer from a wide variety of people. My Comments: Which one of these do you like? Which one grabbed your attention? I like the last one by Corrie ten Boom. Most of the time I don’t necessarily feel like praying. If I only prayed when I felt like it then I would not pray much at all. I have several prayer appointments during the week that right now I do a pretty good job of keeping. I hope to develop more. Once I start praying it becomes more than just an appointment with God. It’s more like us having father/son time. But I have to be intentional about making it happen or it won’t happen. This Week’s Passage: 7 I became a servant of this gospel by the gift of God’s grace given me through the working of his power. 8Although I am less than the least of all God’s people, this grace was given me: to preach to the Gentiles the unsearchable riches of Christ, 9 and to make plain to everyone the administration of this mystery, which for ages past was kept hidden in God, who created all things. 10 His intent was that now, through the church, the manifold wisdom of God should be made known to the rulers and authorities in the heavenly realms, 11 according to his eternal purpose which he accomplished in Christ Jesus our Lord. 12 In him and through faith in him we may approach God with freedom and confidence. 13 I ask you, therefore, not to be discouraged because of my sufferings for you, which are your glory. v 7. Hard for me to get past verse 7 because it pretty much sums up my life and calling. I could write a very long post about how God called me to be a “servant of the gospel by the gift of (His) grace…” . I have detailed some of this in 4 posts that I wrote back in November of 2010. If interested, just go to the archives and look for the “Defining Moments” posts. (I’ve linked to the first one). Let me just say here that Paul’s sentiment is one of gratitude and humility – which I echo. I am very very grateful that God rescued, redeemed, and reconciled me through the power of the cross and the preaching of the gospel. I am grateful for the privilege of serving Him which I would do whether it was my job or not. It just so happens that I am able to get paid to do what I love which is an incredible blessing. It is also with great humility (and hopefully not false humility) that I serve the gospel. I know that God has a calling upon my life and yet there are times when I feel so inadequate for the task and wonder how could God use me to do something as prodigious as investing in people with the glorious gospel. There are certainly people more gifted, more charismatic, more outgoing, more passionate, more compassionate, better speakers, better thinkers, better administrators, better visionaries. And yet…. Humbling indeed. v 10. “through the church” – When Paul wrote this the idea of church was less than 30 years old. He is telling the Ephesians that it is not through apostles such as himself that the gospel will be declared and advanced but through the church. Why is this? Why would God choose to use flawed people who make up our churches rather than super saints to tackle the task of reaching the world with the gospel. A few thoughts: 1) We live in a world that is made up of flawed people – who better tho reach these people than flawed people who have experienced the life changing grace of God. 2) Scripture gives us two metaphors to describe the church – the body of Christ and the bride of Christ. Both of these, when understood and communicated clearly, give a powerfully inviting portrayal of the gospel and a bold testimony of the great love of God for harassed and helpless sinners. 3) People need community. We were not created to live isolated lives. We were created for relationship. Church provides a great place for people to gather and find friendship – both with other people and with God. 4) People are by nature worshippers – Some people worship the gods of self or success or money or beauty – all of which leave people ultimately feeling lost and empty. Church provides a place for people to worship a God who can fill their lives with joy and hope and fuel their lives with strength and purpose. v 12. “may approach God with freedom and confidence” – Our faith offers a completely different approach to God than any other world faith. We can approach Him with freedom and confidence. This is because our faith is based on relationship not rules. We don’t have to do anything to earn His favor, He has already done it all. We don’t have to do anything to get His attention, we already have it. We don’t have to do anything to be forgiven, He has already offered forgiveness to us. Because he is the initiator in the relationship, because we come to Him at His invitation we can come with freedom and confidence. Not as slaves, but as sons and daughters. Not in trepidation but with courage knowing that he absolutely delights in our coming and that he eagerly waits for us to enjoy the relationship that we were created for. Such a great passage. Still so much to ponder. “Do not be anxious about anything, but in everything, by prayer and petition, with thanksgiving, present your requests to God,” Paul instructs…. How can we make known a request to a God who already knows? Relationship is the key. Occasionally in the mail I get a request for help from a stranger, often a prisoner or someone in a foreign country. Sometimes I give in response, sometimes I check the facts with a local person, sometimes I refrain from getting involved for fear of encouraging a flood of similar requests. When my neighbor has a need though, or my nephew, or someone known to me, I do everything I can to meet the need. Relationship ups the urgency of any information – it’s the difference between watching news of reports of a tragedy overseas and watching those same reports when your son or your fiancee is there. My thoughts: It seems like the key to understanding the gospel, the key to understanding just about everything related to our faith, is understanding that it is based on relationship. This is certainly true with regard to prayer. Prayer makes absolutely no sense at all unless we get the fact that God our Father delights in seeing His children come joyfully into His presence – sometimes to ask, sometimes to listen, sometimes to vent, sometimes to just hang out and be with Him. More often than not we have our prayer agenda – I think God would be tickled if we just came to the throne of grace and sat in silence, and just enjoyed the idea of being with Him. Yesterday was a GREAT day. From my perspective it was great day for at least 2 reasons. Easter and The Masters. Easter because it is THE celebration for believers that marks our faith as distinct from every other faith in the world. The Masters – well, because it is The Masters. I love Easter. I love gathering with my friends and fellow Christians and celebrating the fact that our Saviour is alive. We remind each other that He is risen. We worship and sing and read Scripture and pray and listen to preaching as we commemorate the One who died for us and then rose again to demonstrate that He had power over the enemies of both sin and death. I love The Masters. I grew up near the Augusta National Golf Course. I have probably been to the tournament over 30 times. I probably spent 20 hours this past weekend watching the tournament and the Golf Channel talk about the tournament. I am an addict. I admit it. Rehab starts this week but I know that I will relapse about 12 months from now. Drama – Every year I am re-reminded of the powerful drama that unfolded in the days leading up to The Cross. If you have ever seen the movie Passion of the Christ then you know what I mean. It is a story about love, betrayal, greed, torture, forgiveness, friendship, sacrifice, loss, and victory. 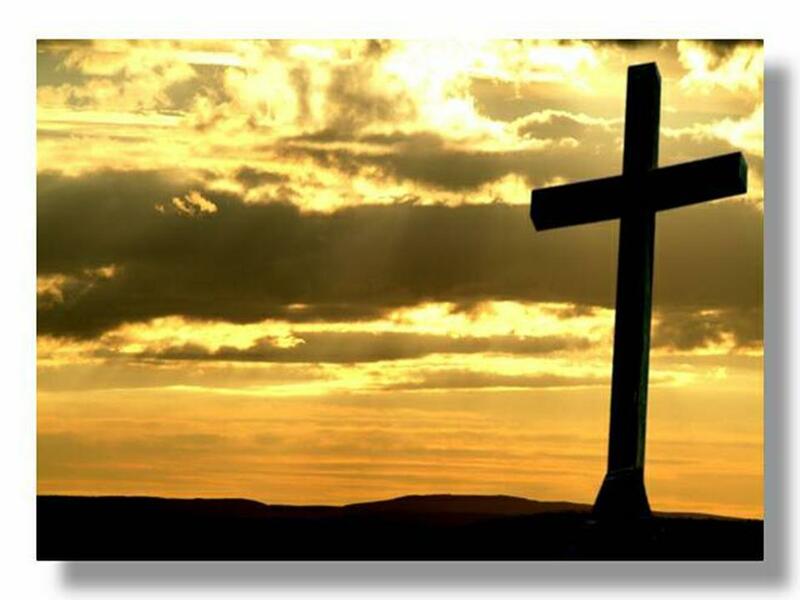 The Story of Easter is the greatest story ever told. And every year there is a new drama that is written at The Masters. I always wonder if this year could be as good as last year – but I am never disappointed. The stories that were written yesterday are a case in point. The double eagle. The triple bogey. Bubba golf. I am riveted by every shot. Great great drama captivates me. Emotion – During worship yesterday I was almost overcome with emotion. Now those of you who know me know that I am not an emo kind of guy. But when I remembered that it was my sin that drove Christ to the cross, that it was His love that kept Him there, that it was the power of the resurrection that enables me to be alive again… I came close to losing it. I was leading in prayer after a song early in the service and found it hard to get the words out. So much emotion. And then watching The Masters. You would probably laugh at me if you saw me after the tournament. Having been so caught up in the drama of the round, when Bubba hit his incredible gap wedge 40 yard hook, made two putts for par, and then broke down as he hugged his mom and caddie and best friends I just lost it. Can’t explain why I get so emotionally engaged over a golf tournament – just do. It’s The Masters. History – Fact: Jesus lived. Fact: Jesus was executed at the hands of the Roman empire on a cross. Fact: Jesus was buried in a rich man’s tomb and secured by a mega ton stone. Fact: Jesus rose from the dead and secured salvation for all who will put their faith in Him. There is overwhelming evidence that the life, death, and resurrection of Jesus is not just a good story to tell but that it is indeed history. And every Easter we are reminded of this historical event that literally changed the world. And every year I get excited all over again that I serve a risen Savior. And every year I re-live Master’s history. And get excited all over again about Jack’s triumph in 1986. Mize’s chip in 1987. Phil’s quasi jump on 18 when he won in 2004. Tiger’s chip-in on 16 in 2005. I get excited all over again as I remember the greats of the game that I followed around the course: Arnie, Jack, Seve, Greg, Gary, Fred, Tom, Nick, Ben, Tiger, Phil. If you are a Master’s fan, all you need is first names. It is as if they are good friends. Every year my son and I re-live history as we try to go back 50 years and see if we can name every Master’s champion since 1960. I love Master’s lore – so much history that can be enjoyed again and again. Community – I love my church. Mostly because I love the community of believers that gather each week at my church. And Easter is always a special gathering. We gather on Friday night for The Lord’s Supper. We gather on Saturday morning for a fun Children’s Event. And we gather on Sunday morning to worship. It is the camaraderie of the community that makes church a special place to fellowship and worship. I also have a Master’s community. As the tournament approaches each year the buzz starts and keeps on growing as the day approaches. We talk about who we think is going to win. We talk about our plans for Master’s weekend. We talk about what we love about The Masters. We re-live mutual memories together. We talk about where we were when Tiger hit his shot, or Phil got his first win, or what we thought about Rory’s collapse. Now we will talk about Bubba, and the 2 on two, and the 6 on four as we ponder this year’s event in these post Master’s days. Hope – The last word that I will reflect on is hope. Hope is what Easter is all about. Because of the cross and because of the resurrection there is hope. Hope for the future. Hope for the present. Hope that our past can be redeemed. Hope for those who are helpless and hurting and hungry. Hope for those who are despairing and discouraged and distraught. Scripture says that we have been given “new birth into a living hope through the resurrection of Jesus Christ from the dead.” (1 Peter 1:3) To live without hope is a sad way to live. Easter is all about hope. And each year as The Master’s approaches I find myself hopeful. Hopeful that again history will be made. Hopeful that my favorite will win. Hopeful that legends will be created. Hopeful that this year’s Masters will be as fascinating as last years. And when it is over I am already hopeful for next year. I can’t wait. April 11-14, 2013. It is already on my calendar. The one thing that I have found about both Easter and The Masters is that they never disappoint. There is the drama relived every year. The emotion. The history. The community. The hope. I love Easter. I love The Masters. Yesterday was a GREAT day. And the winner of The Master’s was a brother in the Lord who talked about how special it was to win on the day his Savior rose from the dead. Easter and The Masters. Traditions unlike any other. 2 Surely you have heard about the administration of God’s grace that was given to me for you, 3 that is, the mystery made known to me by revelation, as I have already written briefly. 4 In reading this, then, you will be able to understand my insight into the mystery of Christ, 5 which was not made known to men in other generations as it has now been revealed by the Spirit to God’s holy apostles and prophets. 6 This mystery is that through the gospel the Gentiles are heirs together with Israel, members together of one body, and sharers together in the promise in Christ Jesus. Perspective. That’s what hit home with me this week as I pondered this passage. Think about it… Here Paul is sitting in a jail cell. If I had been called as an apostle and church planter I’m sure I’d be thinking that there were better ways to spend my time then sitting in a stinking prison. I’d no doubt wonder if God knew what He was up to. Paul had a different perspective. He didn’t even see himself as a prisoner of Rome but as a “prisoner of Christ Jesus.” He had been captured by the gospel. It was not his call any longer concerning how he spent his time. He was told what to do and he did it. He no longer had rights – because the righteousness of Christ was now fueling his soul. He was nourished not by the delectable foods of this world but by the Word of God. And God redeemed the time Paul had while in prison. It was while Paul had all this time on his hands that he wrote what are known as the prison epistles: Ephesians, Philippians, Colossians, Philemon. Sacred literature for believers. Books that have been used for almost 2000 years to encourage the church and convict the unchurched. Perspective. Paul got it. It was not about him and what would make him happy or what would make him comfortable. It was about what God wanted to do through him no matter what the situation or how bad the conditions. Perspective. That’s what I need so much of the time. I need to realize that when things aren’t going the way that I would like for them to go, that God is still in control and He may have plans for me that I know nothing about. And He may want to do things that I can’t even imagine. God has a unique knack of taking bad situations and bringing good out of them. He knows how to redeem. It’s the best thing that He does. Here are a few more nuggets from Yancey’s book. I’ll have a few personal thoughts at the end. “Does prayer have any real impact on the outer world or is it merely a private conversation with God? I ask that as a serious not rhetorical question. “Are these prayers effective? the tourist asks. “What would happen if we followed literally Jesus’ command to love our enemies and pray for those who persecute us? How would it affect the reputation of Christians in the United Stated if we became known not for our access to the White House but for our access to heaven on behalf of those who strenuously, even violently, disagree with us. What if we created a “Do Not Pray” campaign and we were able to get every believer everywhere around the world on board. And what if we designated the week of September 1-8 as Global Do Not Pray week. Do you think the world would notice if Christians were not praying? 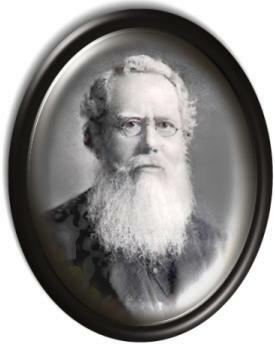 Do you think there would be a difference in the world if we stopped imploring God to keep evil from overcoming the world; if we stopped praying protection around those we love; if we stopped asking God to provide for the hurting and the helpless and the hopeless; if we stopped beseeching God to save lost sinners and to care for the hungry and to send His Spirit in power upon the churches and upon the pastors around the world. I think the world would notice. I think the world would beg believers to cry out to God on their behalf. I think the world would see what happens in a global way when God stops answering the prayers of His people. But I’m too afraid not to pray. As much as I would love for the world to take notice I understand that the risk may be too great because we who believe know that our prayers are making a difference. Or at least I hope that we know. 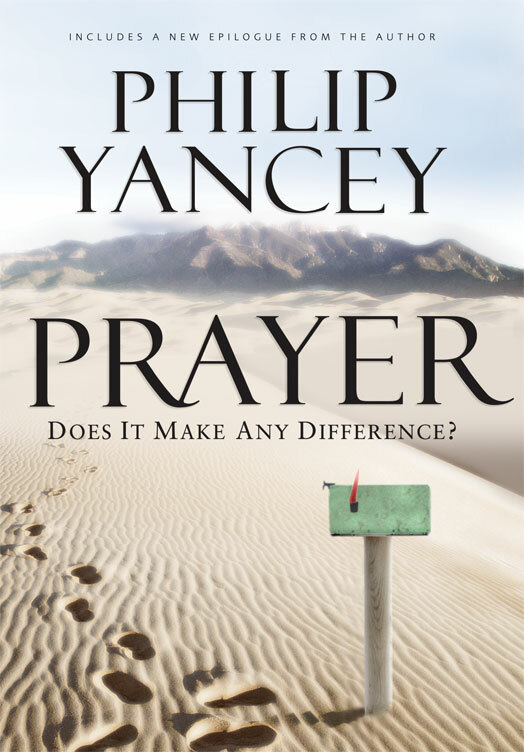 And I hope that 1) we are praying as if our prayers are making a substantial difference and 2) we know that God is at work in ways that we may not be able to measure because we are a praying people.